Vague allegations and scant details from anonymous sources complicate verification of serious claims. 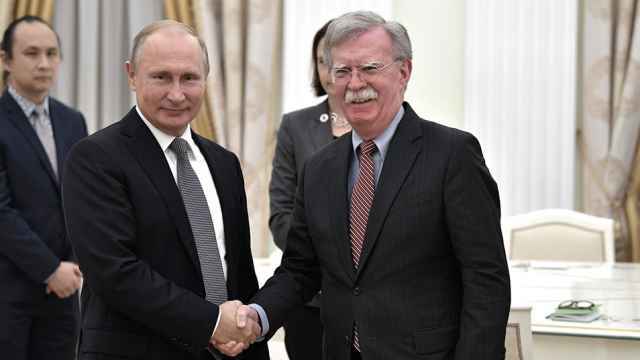 Russia has allegedly deployed a new weapons system that American officials believe violates a landmark 1987 nuclear arms accord, the New York Times reported Feb. 14. It is the most recent in a series of U.S. Government claims that Moscow is violating the Intermediate Range Nuclear Forces Treaty (INF). The latest allegation comes amid a growing scandal in Washington over the Donald Trump administration’s relationship with Russia. Some observers have interpreted the alleged missile deployment as a test for Trump. The issue is, in fact, more complicated than that. Arms control treaty compliance is a technical, wonky affair. But the INF treaty is about as clear-cut as they come. It was the first and only arms control agreement to ban an entire class of nuclear weapons: short- and medium-range ballistic and cruise missiles. In the treaty, short- and medium-range are defined as between 500 to 5,500 kilometers. Only ground-launched versions of these weapons are banned. Air and sea launches are fair game. The 1987 INF treaty is considered the most significant arms control accomplishment of the Cold War period. Intermediate range missiles are highly mobile and difficult to track. This increases the number of potential areas where they can be deployed and makes them difficult to defend against. As a result, banning these weapons systems is mutually beneficial for Russia, the U.S., and NATO as a whole. Like the treaty, these benefits are also fairly straightforward. Arms control expert Pavel Podvig provides a concrete example. 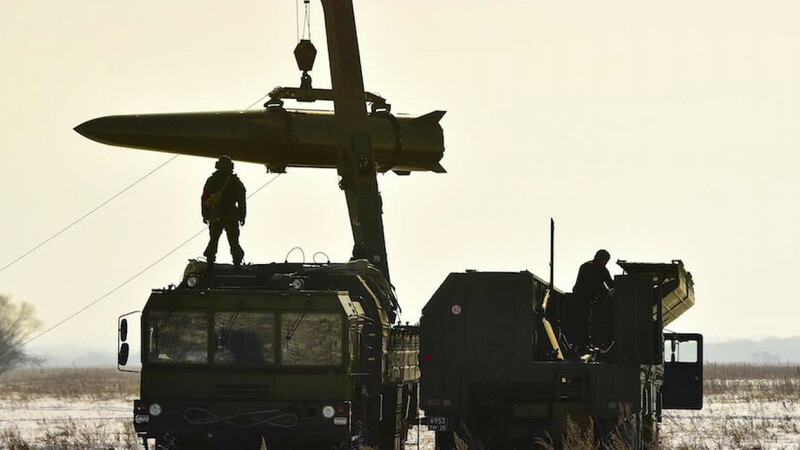 Currently, Europeans worry about scenarios in which Russia could target a large part of Poland with Iskander missiles deployed to the Russian exclave of Kaliningrad. What are the U.S. claims? So far, the claims are vague. Since at least 2014, the Obama administration has repeatedly flagged a developmental Russian weapon as a violation of INF. That year, the State Department issued a formal complaint, and the issue was again raised in 2015. In November 2016, the two sides met under the INF verification framework in Geneva to discuss the matter. Since November, there has been no major official-level movement on the issue of Moscow’s INF compliance. In the meantime, Russia appears to have gone ahead and deployed the new weapon. As in previous reports, information is scant. The sources in the NYT piece are referring to classified U.S. intelligence assessments. Those sources noted a change in the Pentagon’s internal designation for the weapon in question. Previous allegations have featured what Washington called the SSC-X-8. The "X" in that designation signals that the weapon was categorized by U.S. intelligence analysts as a developmental missile. However, in the latest report, it is referred to as SSC-8, an operational system. According to that report, Russia has stationed two batteries of the now-operational missile at the military’s Kapustin Yar test range, and one elsewhere in Russia — the location was not specified. What was the Russian reaction? Moscow’s reaction was predictable. Konstantin Kosachev, head of the Federation Council's international affairs committee, lashed out at the usual targets. The anonymous allegations, he said, were part on an ongoing information war against Russia, and they represented internal opposition to Trump's plan to rethink U.S. hegemony on the global stage. On Feb. 15, Kremlin spokesman Dmitry Peskov said that Russia had not been formally notified of any compliance issues under INF. Maria Zakharova, the Foreign Ministry spokeswoman, was more flippant. She promised a detailed response from Russia's arms control experts. “In the meantime, I can only confirm that [U.S. Senator] John McCain really exists,” Zakharova added, apparently referencing McCain’s demand for a strong response to Moscow’s alleged INF violation. Independent Russian arms control experts are skeptical of the latest claims. Pyotr Topychkanov, a fellow at the Carnegie Moscow Center, says the report that two missile groups were deployed to Kapustin Yar stretches the imagination. Podvig also has his doubts about the NYT characterization of the problem. Arms control treaties are technical documents, making it difficult to draw conclusions without concrete details. Not much. What is known publicly has been scrounged together from open-source data by Russian and American arms control experts. The weapon appears to be a land-based version of the new Kalibr cruise missile. Kalibr famously made its combat debut in Syria in Oct. 2015, when a large salvo was fired from the Caspian sea on Putin’s birthday. 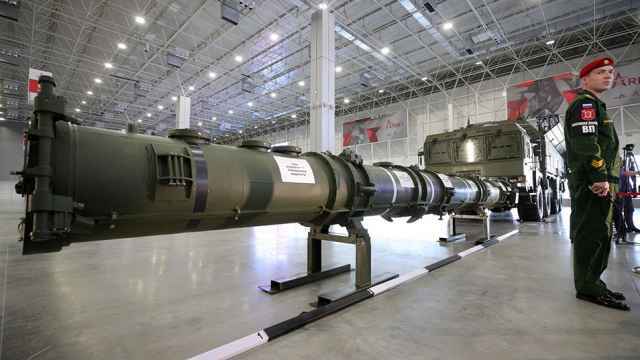 The Russians call this weapon the 9M729, and one prominent U.S. arms control expert, Jeffrey Lewis, speculates it is an extended-range version of the INF-compliant 9M728 cruise missile already used in Iskander systems. The missile probably has a range of around 2000 kilometers, he says, and likely is visually identical and technically similar to the Kalibr cruise missile. If Russia is found to be in violation of INF, the consequences could be severe. The INF was one of the three key pillars of U.S.-Russia arms control inherited from the Cold War. George W. Bush already destabilized that foundation when he unilaterally pulled out of the Anti-Ballistic Missile treaty in 2002. Beyond INF, only the Obama-era New START treaty — a successor to the Cold War START treaties — remains. If either side proves serious violations of the INF, it will likely derail New START, argues Topychkanov. The treaty expires at the end of the decade, and a collapse of INF will make negotiating an extension difficult. Moscow has warned Washington it will be forced to respond in kind to restore the military balance if Trump carries through with his threat.